There are nearly 5,000 species of frog in the world. Each one has a unique call, some of which can be heard up to a mile away. While frogs are well known for loving wet environments, most people don’t realise that frogs don’t actually drink water. Instead they absorb it through their skin, which for many species also contains mild to deadly toxins. Frogs don’t have tails like other amphibians, but they do have specially adapted legs which make them exceptionally good jumpers. Some species can jump over 20 times their own body length – that is like a human jumping 30 metres. As with so many animals, frogs are dedicated parents with mum and dad often sharing responsibility. The male African bullfrog is particularly dedicated to his young. These super-dads only breed after heavy rainfall when deep puddles and shallow pools have formed to serve as crèches for their eggs. Once hatched, the male bullfrogs will watch over their brood until the tadpoles metamorphose. The males don’t only defend their offspring from predators, they also defend them from being stranded without water. 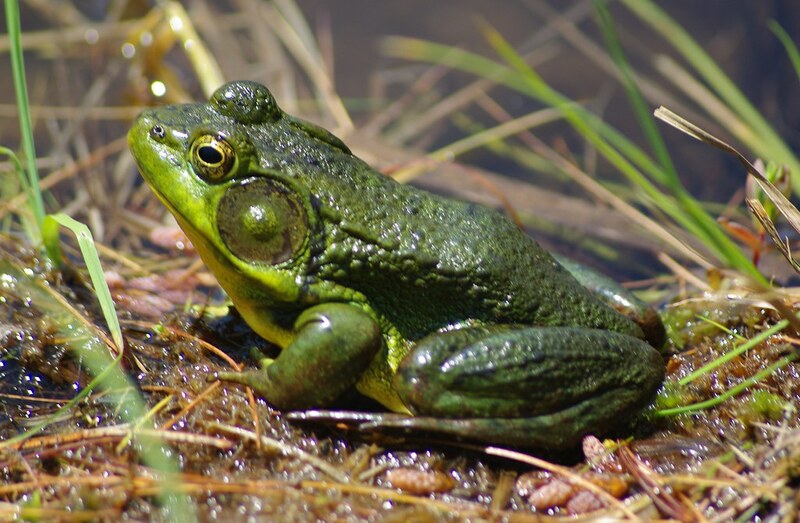 If their small pond begins to dry up, the male bullfrog will work quickly to dig a canal to another water source. The wonderfully named strawberry poison dart frog has also been proven to go to extraordinary lengths to ensure the survival of their young. After females lay their eggs on the rainforest floor, the finger-nail-sized frog dads keep guard from predators and urinate on the eggs daily to keep them moist. When they hatch, mother frog will carry each tadpole individually on her back to find safe pools up in trees in which they can develop in isolation. She then visits each individual nursery pool every day for 50 days to deliver food in the form of an unfertilised egg. Meanwhile, father frogs continuously guard the territory to stop rivals finding the babies. But these truly magnificent animals are at risk. Around half of the world’s amphibian species are in decline, while a third are already threatened with extinction. 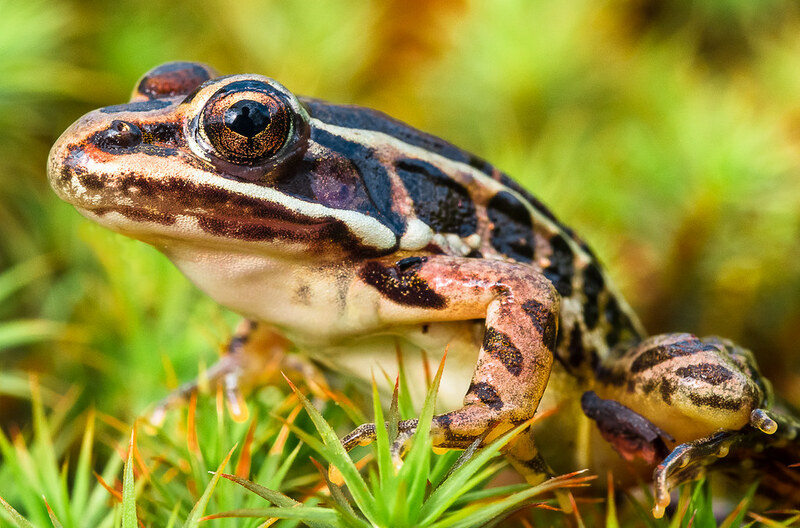 Amphibians have been hit hard by climate change and habitat loss. But they have also been decimated by the spread of a deadly fungal disease. 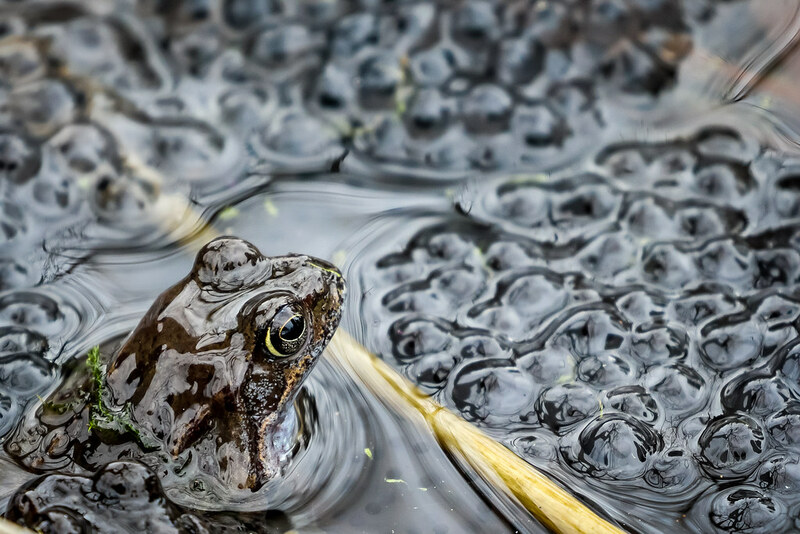 Scientists predict climate change, habitat destruction and disease could drive more than half of all Europe's frogs, toads and newts to extinction within 40 years. The good news is we can all help. From reducing chemical use to creating a frog-friendly environment in our garden or community, we all have the ability to make a difference.